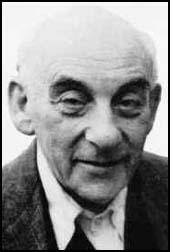 Victor Klemperer, the son of a Jewish couple, was born in Germany in 1882. When he was nine his family moved to Berlin and during the First World War served in the German Army. When Adolf Hitler came to power he was head of Romance and Literature at Dresden Technical University. He published several books on 17th and 18th French literature before being expelled from his post in 1935. He also lost his house and was forced to live in what were known as Jewish houses. Married to a non-Jew, Klemperer remained free until receiving his deportation notice on 13th February, 1945. That night the massive Allied bombing raid of Dresden took place. In the confusion caused by the firestorm, Klemperer was able to escape. Klemperer kept a diary of his daily life in Nazi Germany and after the war was published in two volumes I Will Bear Witness: A Diary of the Nazi Years: 1933-1941 and To the Bitter End: 1942-1945. Victor Klemperer died in 1960. Ever more hopeless. The boycott begins tomorrow. Yellow placards, men on guard. Pressure to pay Christian employees two months salary, to dismiss Jewish ones. No reply to the impressive letter of the Jews to the President of the Reich and to the government. No one dares make a move. The Dresden student body made a declaration today and the honour of German students forbids them to come into contact with Jews. They are not allowed to enter the Student House. How much Jewish money went towards this Student House only a few years ago! In Munich Jewish University teachers have already been prevented from setting foot in the University. The proclamation and injunction of the boycott committee decrees "Religion is immaterial", only race matters. If, in the case of the owners of a business, the husband is Jewish, the wife Christian or the other way round, then the business counts as Jewish. The focus of the Hitlerite movement is undoubtedly the Jewish cause. I fail to understand why on their agenda this item is so central. It means their ultimate ruin. But probably our ruin as well. On the morning of the 11th November two policemen arrived accompanied by a 'resident of Doeizschen'. Did have any weapons? - Certainly my sabre, perhaps even my bayonet as a war memento, but I wouldn't know where. We have to help you find it. The house was searched for hours. At the beginning Eva made the mistake of quite innocently telling one of the policemen he should not go through the clean linen cupboard without washing his hands. The man, considerably affronted, could hardly be calmed down. A second younger policeman was more friendly, the civilian was the worst. We said we had been without domestic help for months, many things were dusty and still unpacked. They rummaged through everything, chests and wooden constructions Eva had made were broken open with an axe. The sabre was found in a suitcase in the attic, the bayonet was not found. Among the books they found a copy of the Sozialistic Monatshefte (a Socialist monthly magazine) this was also confiscated. At about one o'clock the civilian and the older policeman left the house, the young one remained and took a statement. He was good-natured and courteous, I had the feeling he himself found the thing embarrassing. On Friday morning the young butcher's lad came and told us: There had been a wireless announcement, we already held Danzig and the Corridor, the war with Poland was under way, England and France remained neutral, said to Eva, then a morphine injection or something similar was the best thing for us, our life was over. But then we said to one another, that could not possibly be the way things were, the boy had often reported absurd things (he was a perfect example of the way in which people take in news reports). A little later we heard Hitler's agitated voice, then the usual roaring, but could not make anything out. We said to ourselves, if the report were even only half true they must be already putting out the flags. Then down in town the dispatch of the outbreak of war. (6) In September 1941 Victor Klemperer heard that all Jews in Germany had to display the yellow Star of David. 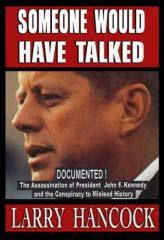 He wrote about it in his diary (15th September, 1941). Frau Kreidl Sr. was in tears. Frau Voss suffered a heart attack. Friedheim said this was the most difficult blow to date, worse than the confiscation of capital. I feel shattered, and cannot calm myself. Eva wants to take care of all errands from now on. I will leave the house only at night for a few moments. We spoke this morning about the unbelievable human capacity to endure and get accustomed. The fairy-tale horror of our existence: fear of every knock at the door, abuse, disgrace, hunger, prohibitions, the gruesome enslavement, daily approaching dangers, every day new victims all around, absolute helplessness -- and yet still hours of ease, reading, work, eating more and more miserable food, one vegetates and again one hopes.